We recently announced an important milestone for Zillow Group customers and industry partners: the successful integration of Zillow and Trulia profile and advertising platforms. We’re excited that real estate professionals can finally manage one profile and buy advertising in one place that will serve across Zillow and Trulia, in addition to our major distribution partners like Yahoo!, AOL and HGTV, among others. With access to 140 million monthly unique users through a single platform, the reach and simplicity of our offering is unprecedented in the real estate space. Integrating the Zillow and Trulia platforms was a big deal for our company, and for our customers. From the technical details of matching account identities across sites to consolidating billing cycles and merging profile information, every detail in every process needed to be explored and mapped by a team of Zillow Group developers and technologists to ensure whatever we were doing would easily transition to a shared platform without disrupting the agent experience. Getting this right required round after round of testing and adjusting across desktop, mobile and dozens of apps on multiple platforms to ensure the products operate seamlessly. Zillow Group is a technology company at its core, and by integrating these different advertising functions and products on Zillow and Trulia, we’ve shown our technology prowess and what we can offer to the industry. We’re innovative, we move fast, and we’re able to apply our skills and expertise to this huge challenge of helping real estate professionals achieve marketing at scale. By advertising with Zillow Group, agents and brokers are reaching the largest audience of online shoppers, not just in their community, but also in their entire state and country. Merging ratings and reviews, advertising and eventually real estate listings on these two sites means that both Zillow and Trulia will have better content, tools, listings quality and information about real estate agents—which benefits the consumer as well as the industry. While we’ve integrated our advertising offering, Zillow and Trulia will still be separate brands for consumers. 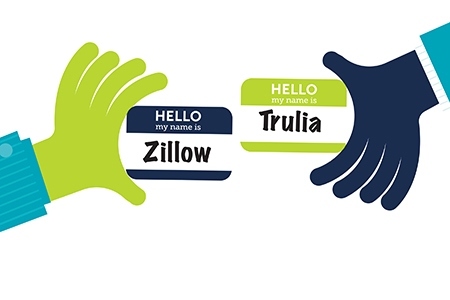 This helps real estate professionals reach relatively unique audiences, as consumers have different preferences—brands, features, even colors—which shape their usage behavior of Zillow and Trulia. Though preferences may differ, these consumers all have one thing in common: they just want to buy or sell a house. Mitch Robinson is vice president, Trade Marketing, Zillow Group.